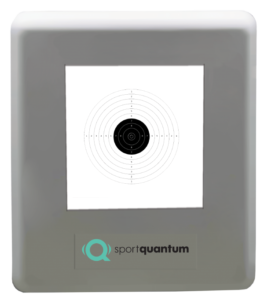 Sportquantum Interactive Electronic Targets are designed to measure the position of the actual real impact of a projectile on a plate equipped with piezoelectric sensors. 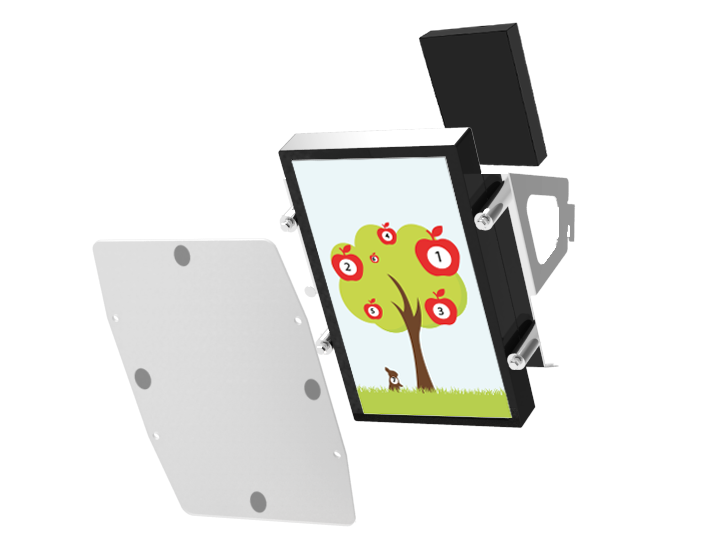 The visual of the shot is displayed on this plate, which turns into an interactive screen. Piezoelectric sensors are made of polarized ceramic (one + side, one – side) which can generate a measurable electrical voltage when under the effect of mechanical deformation. Piezoelectric sensors are very reliable, highly sensitive and ultra-fast. 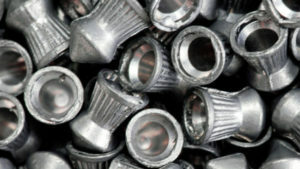 They are used since a long time for chock detectors in car airbags. They are also generating the spark used in gas lighters. 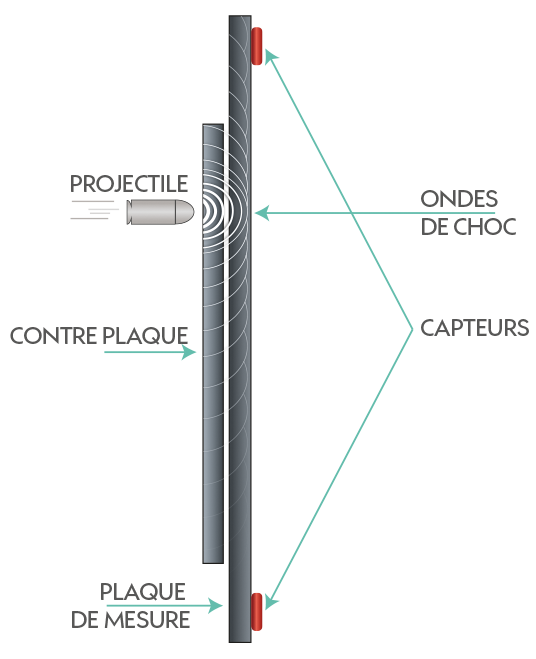 When the projectile (pellets or bullets) hits the impact plate, it generates a shock wave that travels in all directions like a stone thrown into the water. This wave is then measured by four sensors that transform the mechanical deformation into an electrical signal. The signals are triangulated to find the exact position which are in the precision range of 1/10 of a point, well more preciser than a millimeter. 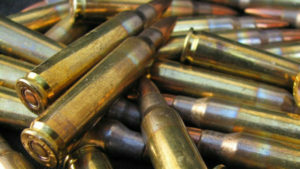 Different chock-resistant impact plates can be provided depending on the ammunition power. 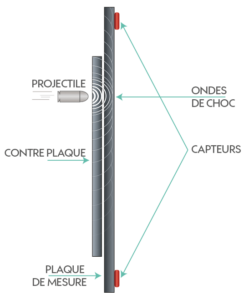 The interactive target has a sensing plate equipped with sensors and a superimposed top-plate. This top plate, which requires occasional replacement, protects the measuring plate and thereby ensures significantly simplified, more cost-efficient maintenance. The process of certifying this completely new technology with the ISSF is ongoing. 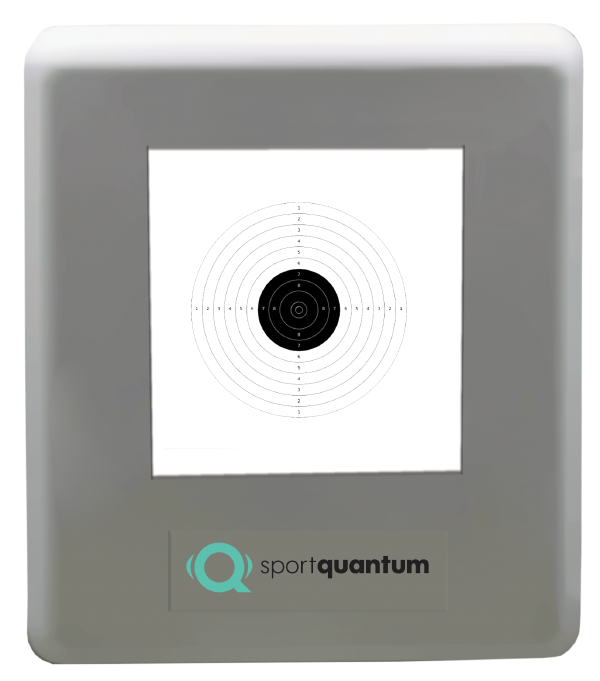 For compressed air weapons (10m pellets, …) sportquantum provides the SQ10 Interactive Electronic Target, with a transparent polycarbonate plate and a high-luminosity computer screen. Therefore sportquantum technology provides the particular advantage of providing Sport Shooters and Trainers with an infinite number of possibilities in terms of target visuals, going far beyond standard targets. 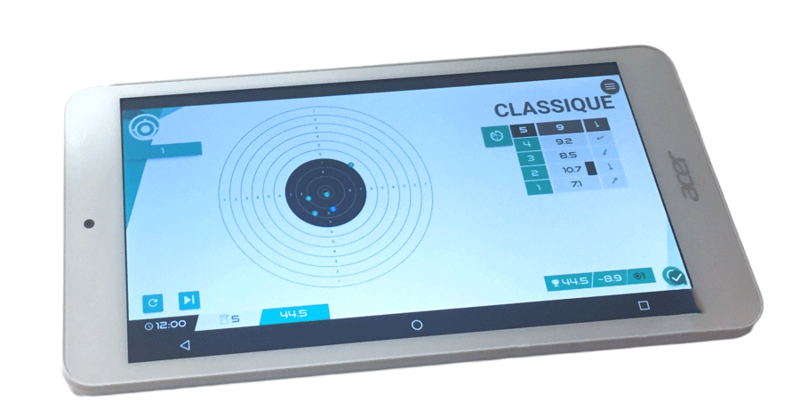 Sportquantum already provides as standard several types of training targets designed to improve Sport Shooters’ performance and interactive games that make shooting more fun. To display all the information related to the shot in real-time: the score, the grouping value and its centering, the time between each shot, etc. All the information available on the tablet can also be used by a supervisor to manage training or referee matches. Sportquantum technology is protected by four international patents.